I was hoping to have some fun posts to share including our first 5K race of the 2014 season, but instead sickness has been running rampant in our household. First, Chase got a cold and had a runny nose and cough for about a week, which then turned into an ear infection complete with fevers. She wasn’t sleeping well and finally with antibiotics and Tylenol we got her more comfortable. After a good four days of bad sleep I was ready to catch up on rest and get back to normal, but instead Rob and I both got hit BAD with the same thing. For next two weeks we’ve been severely congested and having fevers. During this time Chase’s ear infection cleared up in her right ear and then moved to the left ear. It has been completely exhausting. Needless to say I haven’t been running, heck I’ve been barely functional in general. So I’ve missed 3 weeks of training and I’m behind at work and my studies from taking care of Chase and then being sick myself. We didn’t run St. Pat’s 5K in town on Sunday. I wasn’t completely sad about that since the temp was in the 20s and we had 30 mph winds. We are looking at some other spring races. We do have the Lincoln Presidential Half Marathon early April and I will be running with basically no training. The longest run I’ve done is 8 miles and that was over a month ago. I’ll still be going, but my goal will be just to complete it. Since my training is all messed up, I think I may just restart my training plan with a focus on RNR Chicago Half Marathon July 20th. At least then I can start to slowly build back my training and just endure the couple of half marathons I have this spring. 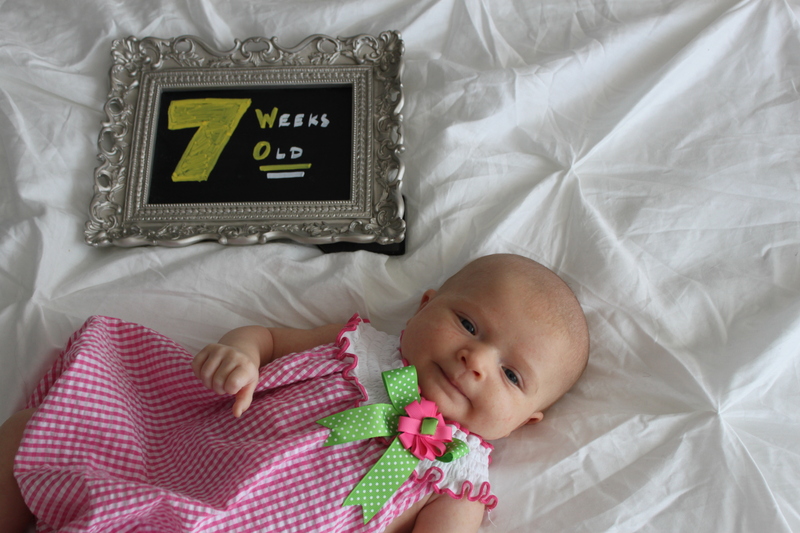 Week 7 brought with it fussiness that appears to be colic. I could set a clock to the afternoon/evening times that have caused Chase to be unhappy and uncomfortable. We have been doing everything to help her with different soothing methods and holds. We also have tried gas drops and gripe water (not together, we did them different days). While both provided some comfort, it appears that the gripe water has worked the best for her. I’ve also given up dairy, caffeine, and nuts as they may also contribute to gas and fussiness. It’s a guessing game if foods are contributors so instead of eliminating one at a time I went ahead and restrict them now. If there is even a slight chance that it will make Chase feel better then it’s worth it. All of this fussiness has meant that Chase wants to be held for all of the time. She immediately gets upset if I get up to use the bathroom, get a drink of water, etc. My priority is to keep her comfortable, especially through this fussy period so I haven’t accomplished anything around the house or did any workouts this week. Since it’s my last week at home with Chase before I return to work, the bright side is I’m getting in lots of snuggles. It’s going to be hard to leave Chase at daycare and return to work. It will be a big change for all of us. I can’t imagine how getting ready in the mornings will go or how I will ever fit working out back into my routine. My head is filled with stress of will I have enough breast milk for daycare and for times that I need to workout or for social occasions where I can’t breastfeed….what if Chase struggles to nap at daycare without me there…..how will we manage Chase’s night time feedings with both of us working…..when she is fussy how will I function on little sleep…will there ever be a good time for even 30 minutes of exercise a day…..with our schedules should I back off some of my race plans until Chase is older…..and so on. I’m having to tell myself that no matter how disorganized things may feel for awhile, that what’s most important will get accomplished one way or the other. 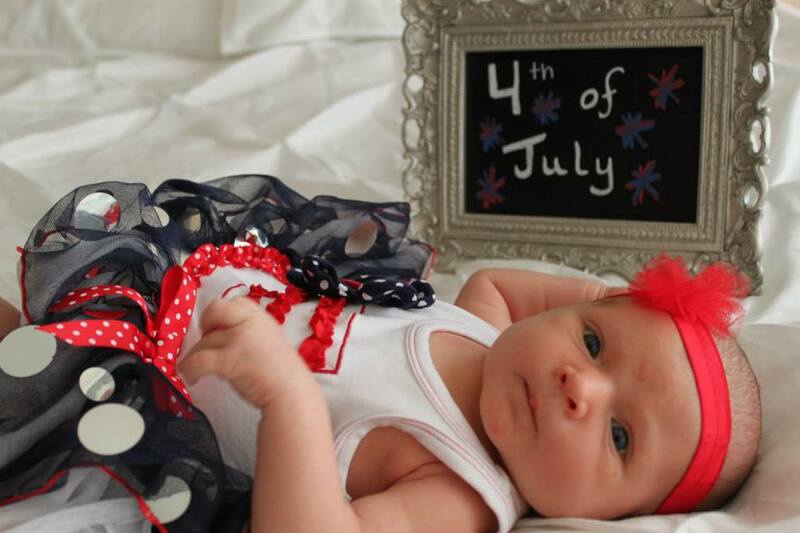 Our sweet baby! I’m so sorry that she had such a tough week. 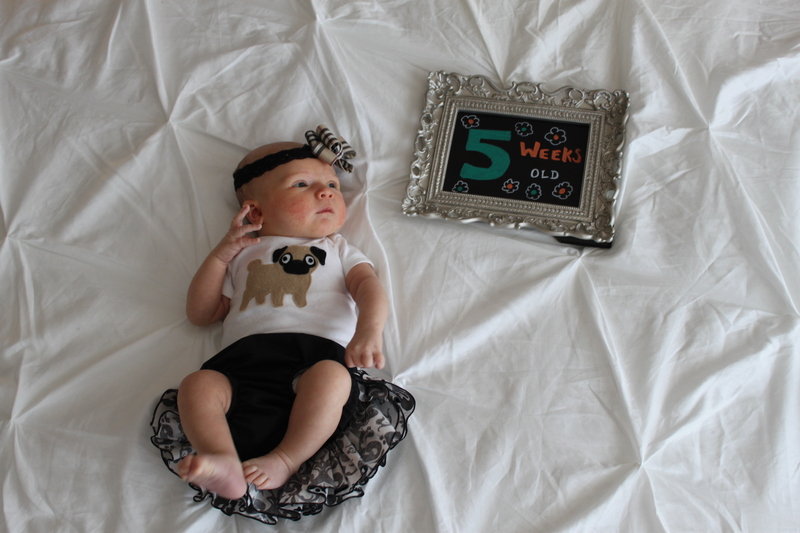 I was delayed in posting this because of the whirlwind of colic and also preparing for getting into the work/daycare routine. 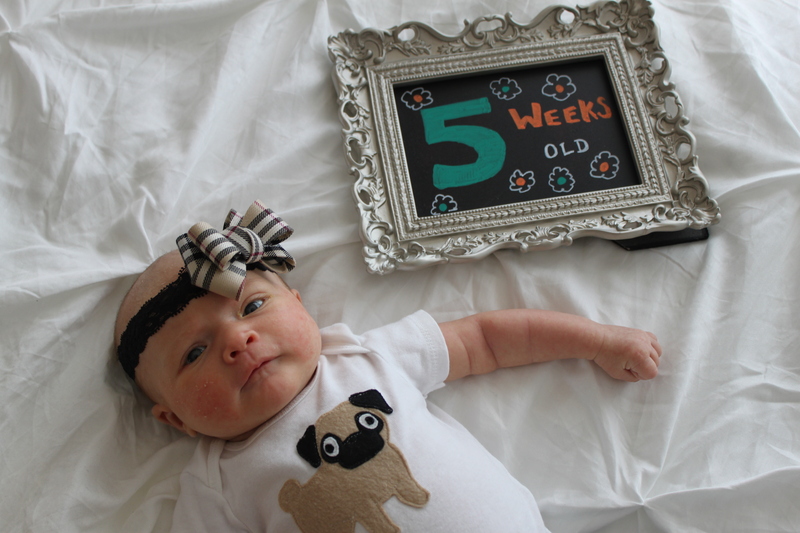 More posts about milestones, baby products and workouts to come! Categories: 0-3M, Baby, Postpartum, Recovery | Permalink. 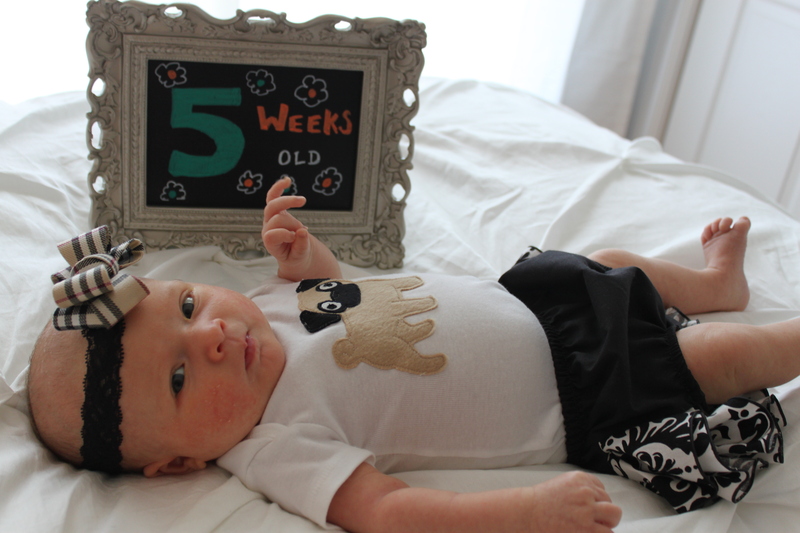 Chase – 1 Month Old – How time flies! 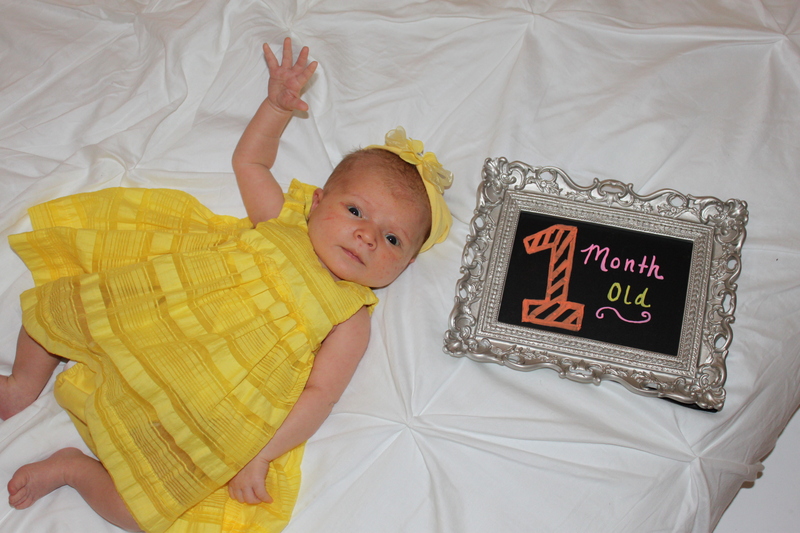 We can’t believe Chase is already 1 month old! It really feels like we just left the hospital last week or something. It’s just amazing that labor and delivery is now a month ago, that just seems unreal. Chase has really been doing some growing up in the last couple of weeks. She is eating more and sleeping longer. We still have our days/nights were it doesn’t go smoothly, but at least there seem to be less and less of those. She is really bulking in up, which is awesome to see. We did a check on her since the last time 8 days ago and she has gained another pound! 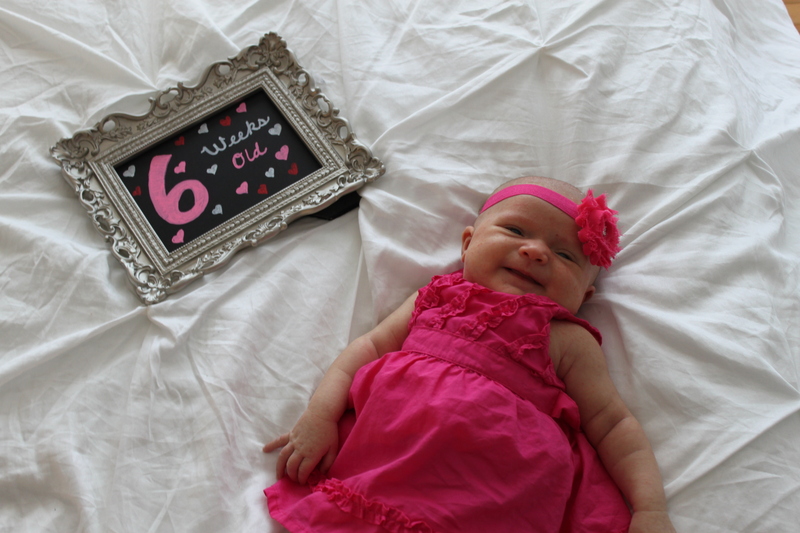 So she is ahead of the .5 – 1 ounce a day requirement. I wanted to capture some things that I felt that we’ve learned over the last month with raising Chase. I set loose goals for the day. Like, “send out birth announcements” , “Chase naps in her room”, or “take a shower”. I may only get to sending one baby announcement that day or only get one of her naps to happen in her room, but that’s something. I’ve learned to let go of having a more set list for the day. What really happens that day depends on how Chase is feeling. Is she well rested, is she going through a growth spurt, etc. So I just have a loose list of things to do ready at all times in case an opportunity arrises to get something accomplished. Babies crave structure. We try to keep a similar routine through each day regardless if it’s a weekday or weekend. It’s not like Chase is going to get that it’s Saturday so it’s okay to sleep in. Even if she doesn’t jive with the morning or afternoon, it’s okay. We just keep attempting the same set of activities: feeding, changing, play in the afternoon, bath and book at bedtime, etc. I’ve noticed that she seems to be taking to the routine more and more each week. She settles down more easily into her naps and doesn’t seem as upset by changing diapers, etc. My friend Natalie is a new mom this May and she provided me some good advice. In all cases of trying to get a baby used to something, you just try it and some days it may not work and you just have to step back and say “okay today is not the day for it” and then try again tomorrow. Learning your baby is key. Chase loves to be close so I was excited to use our Ergo Baby or K’Tan sling to have her close to me and get both hands free. However, something Chase also loves is to stretch her legs out and kick a lot. If she can’t do that, she freaks out. Based on her size right now her legs can’t hang free in either sling so she hates them both. Perhaps in time she will like it, but it’s just going to be a trial and error, and responding to what Chase seems to like. Or perhaps I need to look at other slings in the meantime that fit her better. Also, Chase isn’t a 100% a fan of pacifiers. It would be nice if she was for breaks between breastfeedings, but every brand we try seems to tick her off and make her more upset. On a rare occasion she will use her Nuk or Soothie, but it’s not that often. I see babies very young using pacifiers easily, but Chase never seemed to take to it from day one. Speed showering is an art. 🙂 When I’m home alone I have to seize the opportunity for a quick 5 or 10 minute shower when I can and ‘focus and hustle’ through it. Online shopping is the best! I’m so glad we got signed up for Amazon Mom Prime and also found sites like Diapers.com. Online shopping has allowed me to order items as they come to mind. I hope this has helped a little with Rob having to manage the errands and shopping. He’s already had to take on so much so I can tend to breastfeeding and napping for myself. It’s been nice to get things ordered online possible. I’ve learned that my workout schedule won’t be set for awhile. I do remind myself that I got cleared to workout 3 weeks earlier than I planned for, so it’s okay that I don’t have my plans all ready to go yet, Chase is my priority. It’s more important to put her needs first. And a side bonus is getting her schedule shaped is longer term even better for my workouts anyways. So in the meantime I’m trying to be creative. 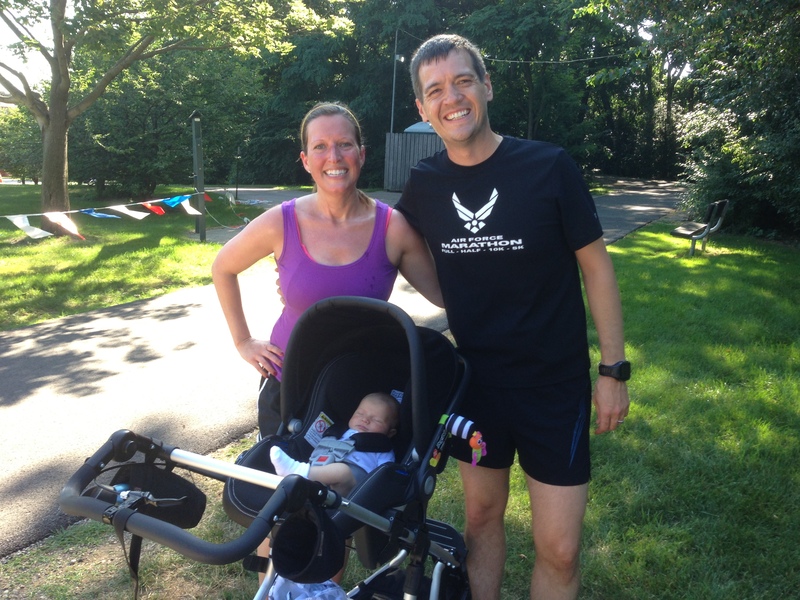 The weather is super hot and muggy and not good for running with the baby. When the weather breaks we will definitely be outside either in the morning or in the afternoon with Rob. On hot weekdays, Rob will watch Chase with a bottle ready and I can get out and run a couple miles in the neighborhood and get my sweat on. On days that I can get out for a quick walk with Chase in her stroller, I have a jump rope handy so I can park us in the shade and I can do 5-10 minutes of jumping rope. I have workout DVDs and once naps are more settled I plan to use them and run on the treadmill at home. Moving Comfort Nursing Sports Bra Juno and Fiona – I found out about a great running sports bra that is also a nursing bra by doing a google search. Thank you google for taking me to this Triathlon Mom’s blog. She is a mother of 3 and recommended this bra as the best option. It was enough of an endorsement for me to give it a try and it truly is amazing. It’s very supportive, has velcro straps for nursing, and the Fiona has bra hooks which is great for my ever changing chest size day to day. Triathlon Mom’s blog has a write up about the bra so I won’t repeat all of the information. If you are going to be breastfeeding and working out, definitely consider this bra. 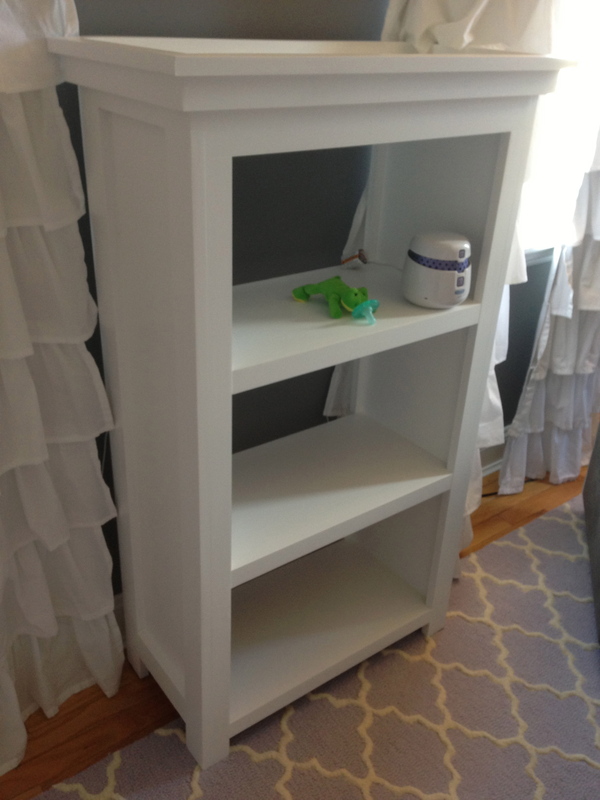 Rob built Chase the final bookcase for her room and it came out perfect! It’s exactly what I was wanting and fits the space perfectly. This one I wanted without a backing so I can put all the electronics (monitor, sound machine, humidifier, etc.) in easily. I love it!! I need to rearrange some things in the room and then I may do a nursery room tour on YouTube. My workouts are really just when they fit in for that day. Here are the highlights of what I have been able to do. The latest issue of Runner’s World had an article about “Spirit of the Marathon II” and “Miles and Trials“, both hopefully coming out later this year. While checking out the status of the movies online, I found “Fast Women” and we rented it on Amazon. We love movies about running. And if you are into documentary type movies, this one is more independent film edited, but a great story of Arizona women working on their qualification for the 2008 Olympic Trials. Perhaps I’m the last to know about this movie, but I wanted to share in case anyone had not seen it yet. Also, we loved Spirit of the Marathon so much and we got a chance to meet the director and part of the cast at the 2009 Chicago Marathon Expo. Chase just makes every day that much sweeter. She is changing every day. 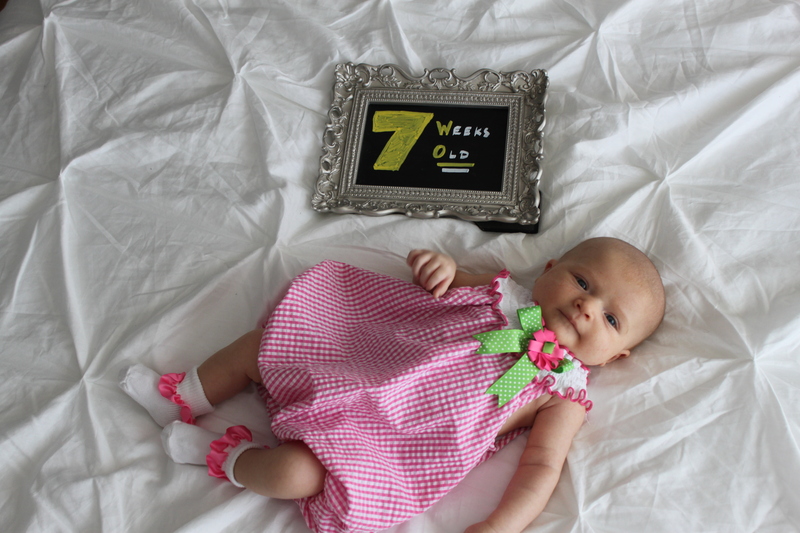 Between growing and seeing her development changes, it’s just always a surprise to see what is new for her each day. 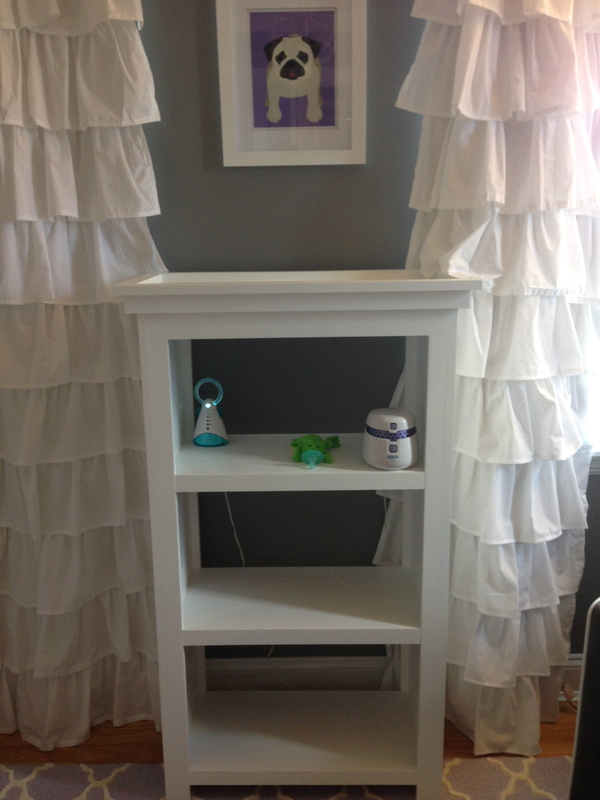 Dress – Von Maur, Picture frame from Etsy Store ShugabeeLane. 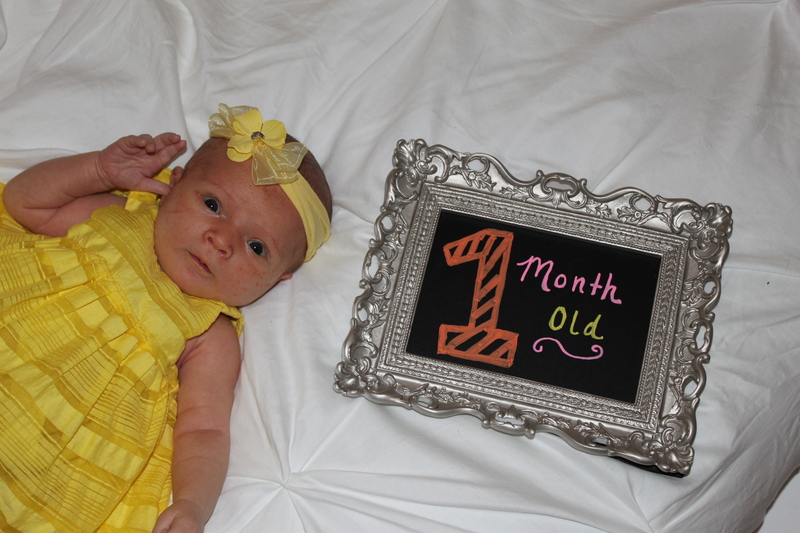 We took Chase in for a weight check on Friday, July 5th and she is 9 pounds .5 ounces. She is gaining well more than the minimum so breastfeeding is going great! I found out that I’m in the banner ad for the Alexian Brothers Half Marathon July 20, 2013. We won’t be going this year, but kinda neat to see my picture there. 🙂 Here is my post about that race. It’s also been fun to get out with Chase, Rob, and Coco. It’s been real good family time. I also got a chance to run with Drew, Rob and Chase after they raced 4th of July Park to Park 5 Mile. I’m excited to be getting to workout 3 weeks earlier than I anticipated. I’m excited to be able to get more active in the coming weeks!